19 August 2016. An industry group of American pharmaceutical makers says its companies have 258 vaccines, including immunotherapies, in clinical trials or awaiting FDA approval. The report, issued today by Pharmaceutical Research and Manufacturers of America, or PhRMA, covers preventive vaccines against infectious disorders, as well as disease treatments that harness the body’s immune system. 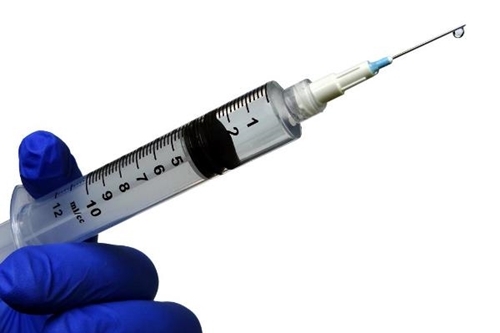 Vaccines are biological drugs derived from some form of living organisms, including weakened or parts of pathogens, inactivated microbes or toxins from bacteria, genetically engineered proteins or nucleic acids, and chains of sugar molecules known as polysaccharides derived from the cell walls of some bacteria or linked chemically to proteins. These substances are designed to induce an immune reaction, creating antibodies to protect against or neutralize disease-causing conditions. Early vaccines, going back more than 200 years, were developed to prevent infectious diseases, beginning with smallpox. Since then, says PhRMA, vaccines have largely eliminated polio, measles, and rubella. More recently, vaccines against the human papillomavirus or HPV, reduced infections in teenage girls 64 percent, helping to prevent instances of cervical cancer. The organization notes that more than two-thirds of vaccines developed in the past 25 years were developed in the U.S. While nearly half (48%) of the 258 vaccines in clinical development or regulatory review address infectious diseases, nearly as many (41%) are designed for cancer, and in many cases are cancer therapies. Among the vaccines listed in an appendix to the report is an immunotherapy code-named ADXS-HER2, made by Advaxis Inc. in Princeton, New Jersey for HER2-positive solid tumors. As reported recently in Science & Enterprise, the biopharmaceutical company Amgen is licensing the Advaxis technology for clinical development and commercialization. The Advaxis technology derives its immunotherapies from weakened Listeria monocytogenes or Lm bacteria, associated by most people with food poisoning. The bacteria are engineered to include a form of listeriolysin O, a protein that enhances their ability to penetrate cell membranes, in this case tumor cells. Once inside the tumor cells, the listeriolysin O proteins make cancer cells, which normally hide from the immune system, look like bacteria and generate a response from T-cells in the immune system. In addition, the engineered proteins break down suppressor and regulatory T-cells that protect the immediate tumor environment. Another immunotherapy in clinical trials listed by PhRMA is a treatment for gout, an autoimmune disorder and a complex form of arthritis, marked by sudden and severe episodes of pain, with tenderness and redness in the joints, particularly at the base of the big toe. Selecta Biosciences, in Watertown, Massachusetts, is developing a therapy code-named SEL-212 for severe gout that it says prevents the undesired immune reactions. Selecta’s technology generates what it calls synthetic vaccine particles that direct the immune system to prevent and suppress immune responses to specific antigens. Thus specific immune responses are blocked without compromising an individual’s entire immune system. Science & Enterprise reported in June 2015 on the opening of Selecta’s early-stage clinical trial testing the safety of SEL-212 to treat gout.